FEEL LIKE A MILLION BUCKS. SMELL LIKE EVEN MORE. New GOLD BOND Ultimate Men’s Essentials Body Powder Spray with Nightfall scent absorbs odor and wetness with no mess. It keeps a man’s skin cool and refreshed. All with a scent that’s fresh and distinctly masculine. Just push the button and aim it wherever you want to be irresistible. GOLD BOND Ultimate Men’s Essentials Body Powder Spray with Nightfall scent provides all over odor and wetness control plus the refreshing scent of a body deodorant spray. And it’s great to use before work or physical activity, right after showering to stay cool, or before heading out for the night. 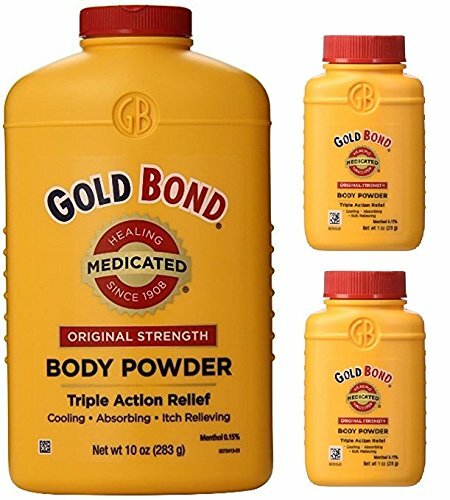 Gold Bond ultimate men's essentials body powder with refresh 360 scent provides all over odor and wetness control plus the refreshing scent of a body deodorant spray. And it's great to use before work or physical activity, right after showering to stay cool or before heading out for the night. Safety Warning For external use only. When using this product. Avoid contact with eyes. Stop use and ask a doctor if: Condition worsens. Symptoms persist for more than 7 days or clear up and occur again within a few days. Redness, irritation, swelling or pain persists or increases. Keep out of reach of children. If swallowed, get medical help or contact a Poison Control Center immediately. Ingredients Active ingredient - Menthol 0.15% - Purpose - Anti-itch. Inactive Ingredients Talc, Zinc Oxide, Acacia Senegal Gum, Eucalyptol, Methyl Salicylate, Salicylic Acid, Thymol, Zinc Stearate (309-004). Directions Adults and children 2 years and older - apply freely up to 3 or 4 times daily. Children under 2 years - ask a doctor. For best results dry skin thoroughly before applying. INTRODUCING THE BEST SCENT KNOWN TO MAN. (AND WOMAN.) Sprinkle on new GOLD BOND Ultimate Men’s Essentials Body Powder with Refresh 360 scent. Its premium formulation absorbs odor and wetness to refresh and comfort your manly skin. And speaking of manly, you’ll love the clean, crisp irresistible scent. 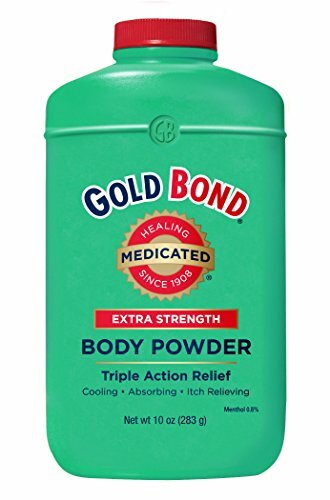 And you won’t be the only one.GOLD BOND Ultimate Men’s Essentials Body Powder with Refresh 360 scent provides all over odor and wetness control plus the refreshing scent of a body deodorant spray. And it’s great to use before work or physical activity, right after showering to stay cool, or before heading out for the night. Pack of 3-the performance of a powder without the mess. The continuous spray delivers a powder formula right where you want it-without the mess of traditional powder. Cools on contact, absorbs moisture, soothes skin. Captures the feel, efficacy and scent of the original, classic medicated powder. 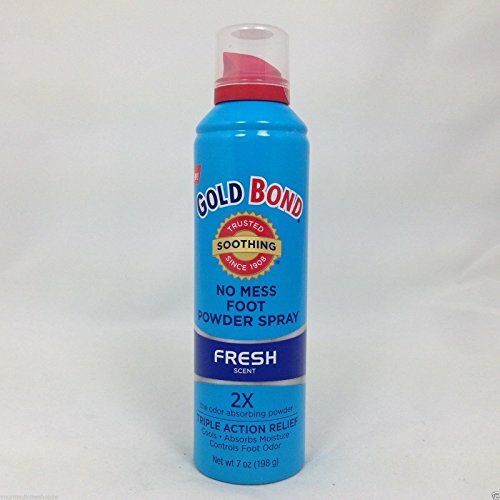 Appeals to those who want the classic gold bond experience but in an easier to use, no mess spray. 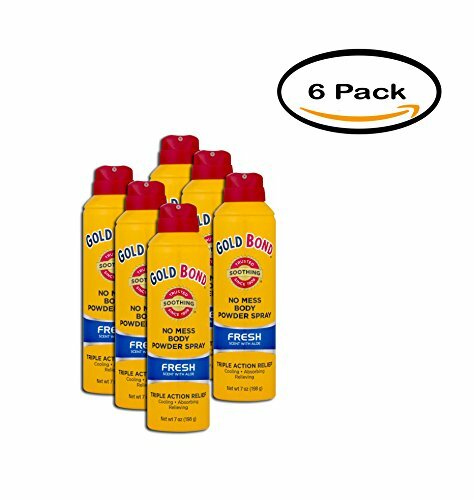 GOLD BOND Ultimate Men's Essentials Body Powder Spray provides all over odor and wetness control plus the refreshing scent of a body deodorant spray. And it's great to use before work or physical activity, right after showering to stay cool, or before heading out for the night. The daily moisturizing lotion that makes dry, uneven and rough skin noticeably silky soft and smooth. That's because 7 essential moisturizers are combined with skin nurturing vitamins A, C, and E plus shea butter and a unique Silk Peptide Matrix to naturally soften and smooth even the driest, roughest skin. It penetrates fast, in non-greasy and has a fresh soft scent. 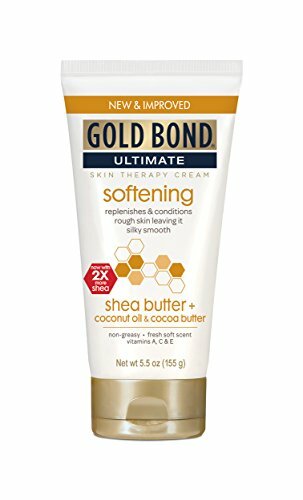 Gold Bond Ultimate Softening Lotion replenishes and maintains your skin's natural moisture level while it makes your skin noticeably soft and smooth. You can actually see and feel the difference! 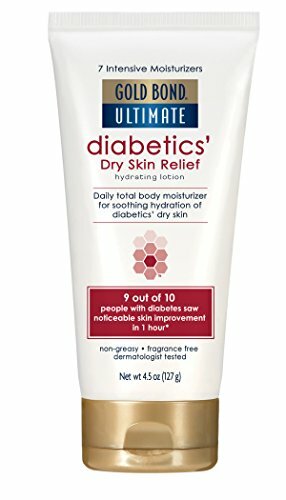 Gold Bond Ultimate Diabetics Dry Skin Relief is a daily total body moisturizer for soothing hydration of diabetics dry skin. 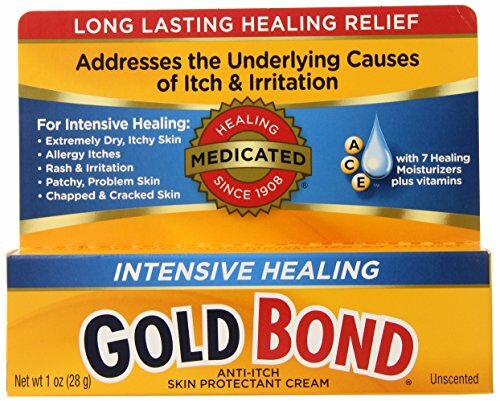 INDICATIONS: Gold Bond Ultimate Eczema Relief Hand Cream gives you fast itch relief, while Vitamin E, aloe and a combination of 7 moisturizers and 3 vitamins, soothe your eczema discomfort. Formulated for daily use, steroid-free, dye-free and fragrance-free Gold Bond Eczema Relief Hand Cream fights back against the five symptoms of eczema. Formulated for daily use, our steroid-free, dye-free and fragrance-free cream fights back against the five symptoms of eczema. 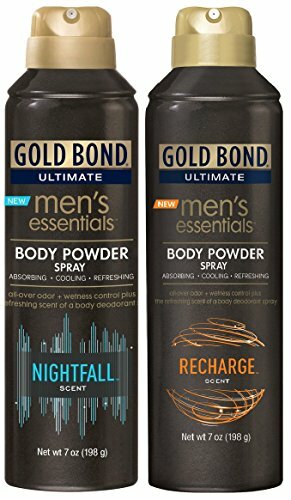 GOLD BOND Ultimate Men's Essentials Body Powder Spray with Nightfall scent provides all over odor and wetness control plus the refreshing scent of a body deodorant spray. And it's great to use before work or physical activity, right after showering to stay cool, or before heading out for the night. Gold Bond Ultimate Hydrating Lotion Radiance Renewal Cream Oil is specially made cream oil blend richly hydrates to help prevent visibly dry skin from coming back.\u00A0GOLD BOND Ultimate Radiance Renewal cream-oil combines the ultimate triple-blend of Coconut Oil, Cocoa Butter and African Shea Butter to deliver nourishing, extended hydration. Gentle exfoliants help remove dead, dry skin cells that cause skin to look flaky or ashy. Shake well before each use. Hold can approximately 6-8 inches from skin and spray evenly for 2-3 seconds. Do not spray directly on clothes. 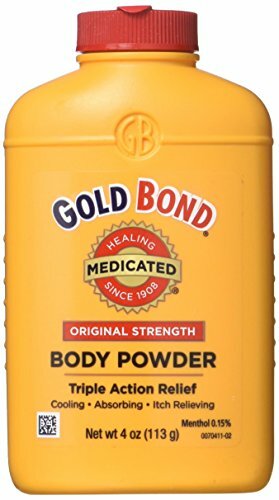 Gold Bond medicated foot powder is specially formulated to relieve foot itch. Its unique triple action formula contains a medically proven ingredient and provides maximum strength itch Relief, absorbs excess moisture and controls foot odor. 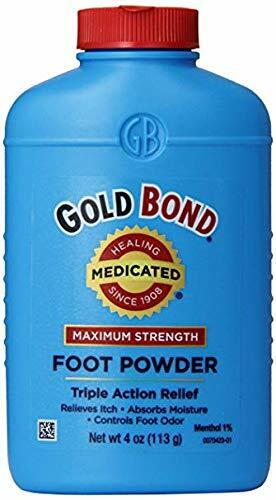 Gold Bond medicated foot powder cools and soothes your feet, leaving them fresh and odor free. Gold Bond On Your SHAFT?! #FRIDASKMEANYTHING with Trace Dominguez!